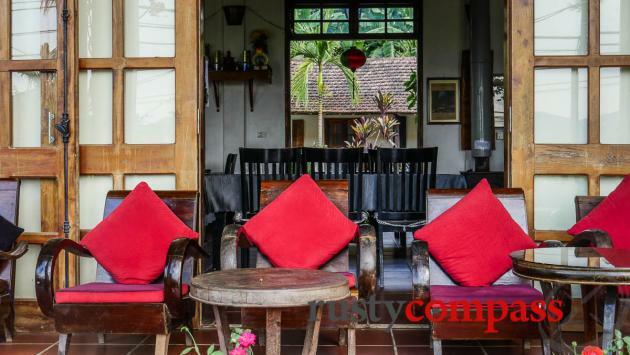 One of the original places for travellers to stay in the Phong Nha area, Phong Nha Farmstay has evolved from basic backpacker digs to something more mid-range. 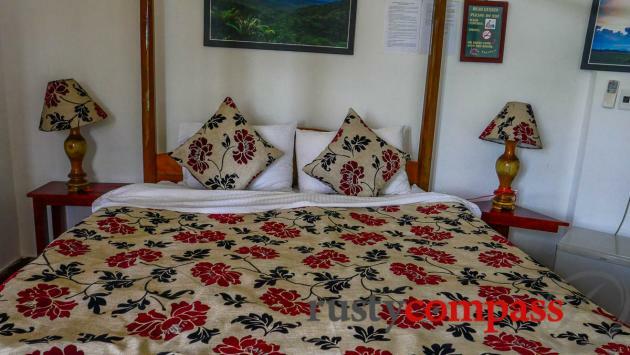 Simple comfortable rooms, lovely rural setting around 10kms from town. Great staff. In a picturesque rural setting, ideal for exploration. It’s an 8km cycle to Phong Nha Caves. It’s away from everything – which is the point – so you’ll be eating your meals and hanging out here as well. 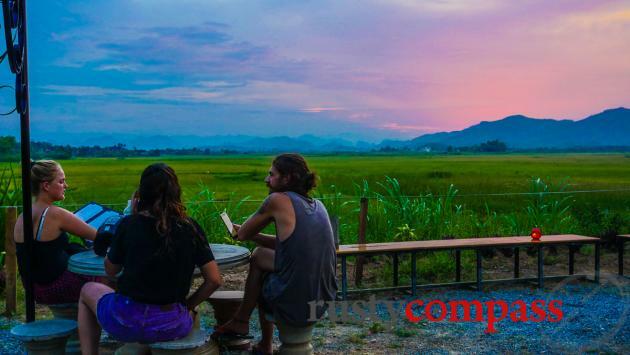 Bich and Ben were among the first to see the big tourism future of the Phong Nha – Ke Bang National Park area. And they’ve been spruiking the wonders of the place since before the world’s largest cave was declared at Son Doong. 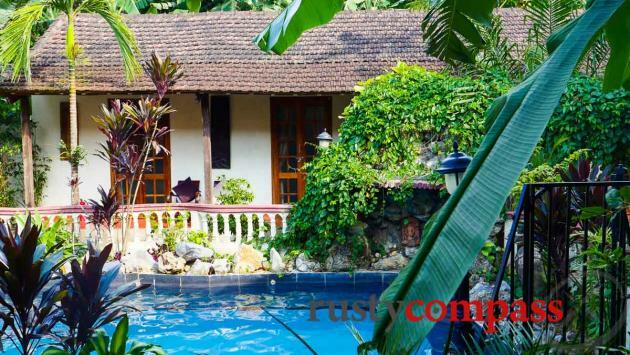 Their place began its days catering to budget travellers and has evolved with the development of the area. 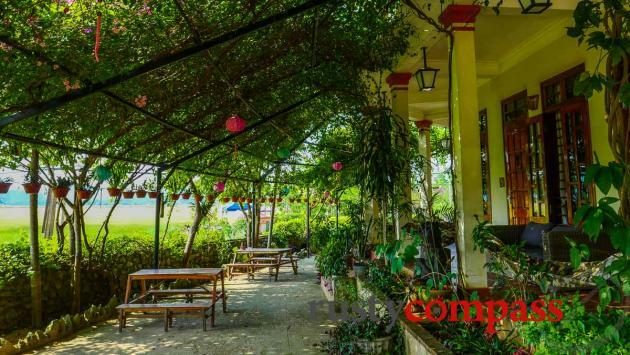 It’s now a comfortable, rustic Phong Nha base in a scenic rural setting. Bich and Ben also own the more upscale Victory Villas in the main town. There are 16 rooms including 1 family room. There’s a small pool and the views are lovely. Staff are very good too. 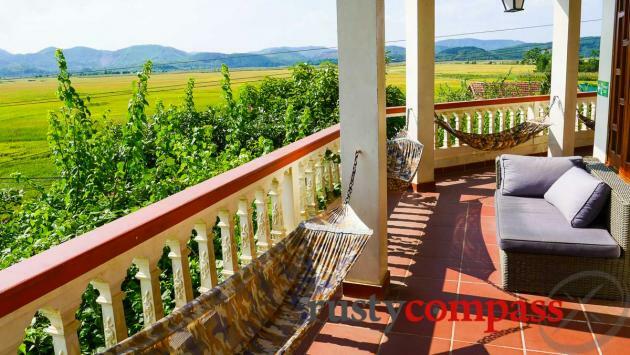 Phong Nha Farmstay is located around 10kms from Phong Nha town on the fringe of the rural Bong Lai valley – a good area for a day or so of exploration by bicycle. Bikes are available for guests. Rusty Compass recommendations are always independent. We list the places we think you might want to know about. That’s it. No money changed hands for this listing. 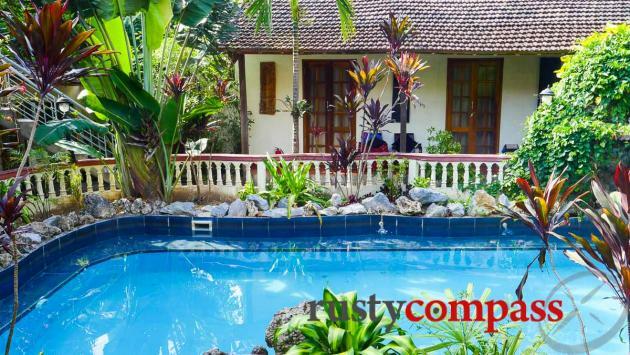 We stayed 2 nights at the Phong Nha Farmstay in 2018 at a 50% discount on rooms. We paid full for meals.